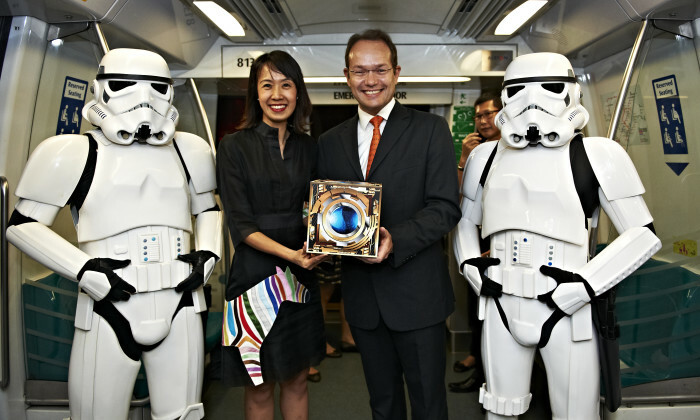 The Walt Disney Company, through the Disney Media+ team, has worked with SMRT for an 18-month collaboration to bring Disney into the SMRT public transport, retail and digital networks. Both companies will engage commuters and customers through the SMRT’s transit network, and also at the Kallang Wave mall in the Singapore Sports Hub and SMRT’s eshop, iMOB Shop. The specially designed promotions will be centered on upcoming movies in 2015, as well as films from the Disney, Marvel, Star Wars and Pixar libraries. In celebration of the year-end festivities, the first phase of the retail campaign will feature the screening of ‘Frozen’ from 20 November to 31 December 2014. This will be followed by ‘Cinderella’ to usher in Chinese New Year. “Everything we do at Disney is about connecting with families. Those important shared family moments with our characters and stories are unique opportunities that only Disney can provide today. We are extremely happy to work with SMRT in taking the Disney brand of entertainment to our Singapore fans,” said Rob Gilby, managing director of The Walt Disney Company (Southeast Asia) Pte Ltd.
Crafters are also invited to share their artistic talent on TikTok to further promote Malaysia's craftmanship to a global audience..
Major news network CNN has plans to create a new media brand with YouTube content creator Casey Neistat, following an acquisition ..